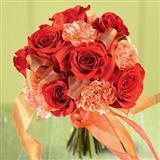 Roses symbolize love and when gifted to someone special, roses help to rightly convey the feelings of heart. 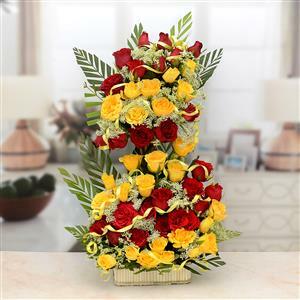 Wonderful tall arrangement of 50 Red and Yellow roses will add to the aura of any occasion. 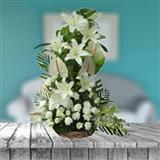 With a height of 2 to 2.5 ft, this lovely arrangement will charm your dear ones in all cities in India. 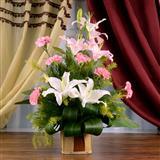 Send Gifts across India through GiftsAcrossIndia.com and elate your dear ones. Note : The image is indicative. 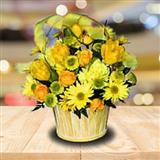 The arrangement may vary according to the availability.